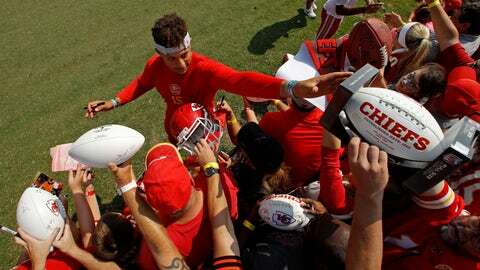 First, the Chiefs’ new starting quarterback has high expectations for himself, perhaps even higher than those of a fan base that is already fawning over him. Second, he is secure enough to lobby a coach who’s been at this for two decades to reconsider his plan. And third, he understands his job is to put up points, especially considering the myriad question marks surrounding the defense. “You’re looking for assignment football. You’re looking, when the juices get going, how you handle that,” Reid said. “You’re in the stadium with the fans there. We’ve had a great turnout here (at camp), but it’s a little different with the lights on and it’s game time.